Michael Cohen — the former personal attorney to President Donald Trump who pleaded guilty to tax evasion, bank fraud and campaign finance violations — will not accept a pardon from Trump and is willing to share "all that he knows" about his former boss with the special counsel's team, his lawyer said. 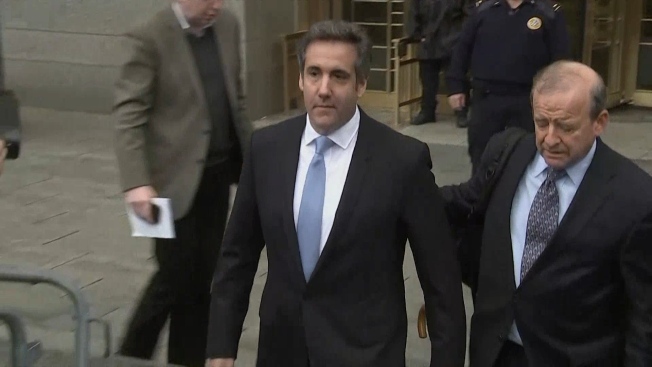 “Not only is he not hoping for it, he would not accept a pardon,” Lanny Davis, Cohen’s attorney, said Wednesday on “Today” about his client. “He considers a pardon from someone who acted so corruptly as president to be something he would never accept." Davis said his client wants “to tell the truth from now on” about Trump. He said Cohen had told him he felt Trump was "a scary person" who "sometimes acts mentally scary." Davis also told MSNBC's Rachel Maddow on Tuesday night that Cohen "has knowledge on certain subjects that should be of interest” to Robert Mueller’s team, which is investigating Russian interference in the 2016 race. Cohen, Davis said, “is more than happy to tell the special counsel all that he knows, not just about the obvious possibility of a conspiracy to collude and corrupt the American Democracy system in the 2016 election ... but also knowledge about the computer crime of hacking and whether or not Mr. Trump knew ahead of time about that crime and even cheered it on."